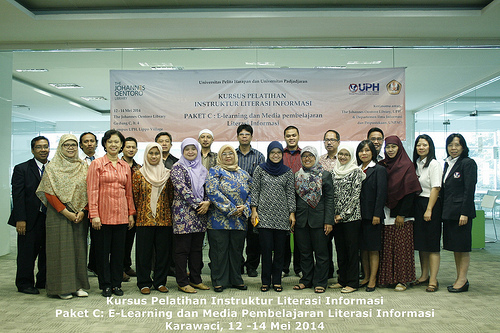 Description: The Johannes Oentoro Library team held and presented sessions for Information Literacy Instructor Training Course Package C which covers "E-Learning dan Media Pembelajaran Literasi Informasi." Description : LIBANEV 2014 with the "Welcome to Web 2.0" as its theme focused on gaining the UPH residents, students, staffs, lecturers so that they may know and able to use every services and facilities in the Library efficiently. During the Library Special Week, the LIBANEV 2014 held three small events such as Tree of Knowledge (Special Tanabata), Library Trivia Week and The Library Code's. 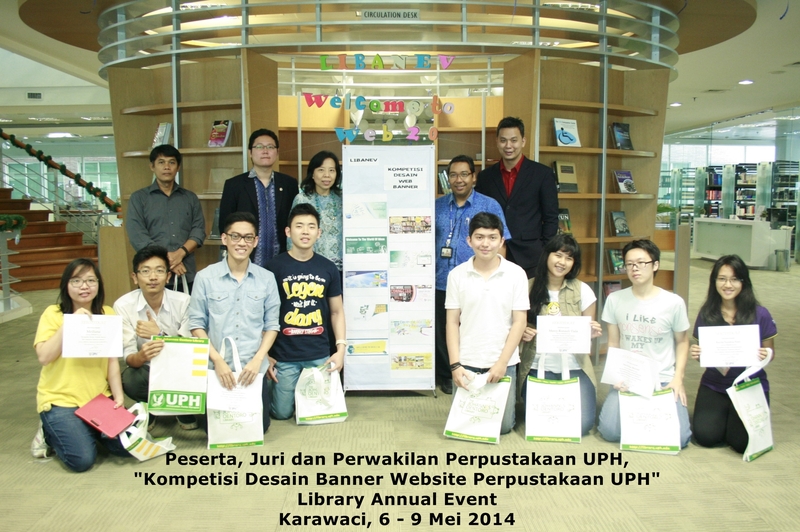 The winner of this competition with "Welcome To the Open Access Era" theme were to be displayed on the library's website. The Information Literacy training presented by the Library team with the topic "Plagiarism in the Era of Web 2.0 and Open Access" was open for public (charged) and UPH's academic community (free).